Behavior-based weight loss interventions — techniques like goal-setting and counseling on diet and exercise — should be offered to all adults considered obese, or those who have a body mass index of 30 or more, according to the U.S. Preventive Services Task Force's new recommendations. (NEW YORK) — The U.S. Preventive Services Task Force released updated recommendations on Tuesday for how primary care doctors can help patients battle obesity. After reviewing recent studies on the topic, USPSTF concluded in a statement, published in the Journal of the American Medical Association, that behavior-based weight loss interventions — techniques like goal-setting and counseling on diet and exercise — should be offered to all adults considered obese, or those who have a body mass index of 30 or more. These interventions could potentially help people lose weight more successfully, ward off regaining the weight, and slow down or eliminate the progression of type 2 diabetes. What’s more, the interventions are likely safe for everyone. With obesity prevalence in the United States hovering around 40 percent, doctors and patients alike are ready to welcome any strategies that might help. Of course, diet and exercise are helpful — even if they sound like simple solutions to a complicated disease — but these new guidelines add new solutions that can make a real difference. In an editorial responding to USPSTF’s guidelines, Drs. Debra Haire-Joshu and Felicia Hill-Briggs note that obesity occurs more frequently among minorities and those in poverty. These people are far less likely to have health insurance, let alone the money to see a doctor. So it’s possible that doctors who implement these behavioral interventions may never see those who would benefit from them the most. Doctors, according to some studies, may not be aware of how much social determinants like health care access factor into weight loss. Add to this the fact that medical offices are often too pressed for time to run behavioral programs, and some are skeptical that meaningful counseling sessions can take place. Fortunately, there are other health care professionals who work inside and outside of medical offices who are able to help, including behavioral therapists and dietitians. Of course, there are also medications; five are FDA-approved for the treatment of obesity. USPSTF found that, in general, medications improved weight loss when combined diet and exercise. However, as with any medication, these therapies have the potential to cause side effects — which is why patients should look into the risks and benefits when considering medical obesity management with their doctors. 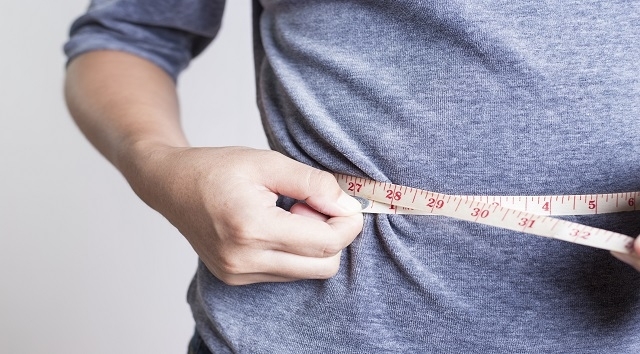 For people with certain types of obesity, who have additional medical problems or who haven’t had success with other approaches, there is also bariatric surgery and, more recently, a growing availability of endoscopic interventions. Yet, because it focused on outpatient care for the study, USPSTF did not look at surgical therapies when formulating its recommendations. So, although the new guidelines support the idea that diet and exercise can still help with weight loss, it’s important to note that these interventions don’t fully address the full scope of the obesity problem — it’s a complicated disease process, where metabolism, emotion, lifestyle, genetics, and social context combine. USPSTF’s recommendations will help doctors target behavior, but more avenues, ranging from new medical and surgical therapies to national policies, must be explored in order to completely address the obesity epidemic.